Please, find further info on the conference and on how to submit a proposal in the attachment. Please, find the detailed programme in the attachment. 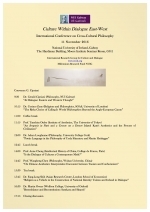 Special Volume of Contemporary Aesthetics: "Contemporary Perspectives on Philosophy and Film"
Contemporary Aesthetics is pleased to announce the publication of Special Volume 5 (2016) "Contemporary Perspectives on Philosophy and Film." 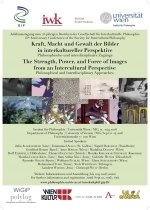 This volume was guest edited by Stefan Deines (University of Macau and Goethe University) and Mario Wenning (University of Macau and Sun Yatsen University, Guangzhou). The papers published in this special volume present contemporary philosophical perspectives on the epistemic, ontological, and ethical characteristics and potentials of film. The papers emerged out of presentations that were given during a conference that was held at the University of Macau on March 31 and April 1, 2015. 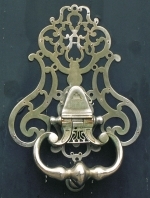 Authors include Robert Sinnerbrink, Martin Seel, Josef Früchtl, Jean-Yves Heurtebise, Paisley Livingston & Trevor Ponech, Law Nga-chun & Lo Chun-cheong, and Angela Keppler. 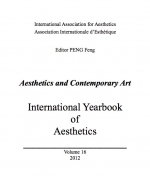 A still increasing interest in aesthetics and also diversity and complexity of aesthetic studies can be noticed over the last couple of decades. 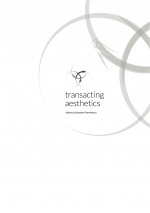 The volume title, Transacting Aesthetics, emphasizes something active, dynamic, interactive, operative, participative, but also something what is malleable or in action, in progress, undergoing operations and whose boundaries cannot be circumscribed. Emergence of new scientific tools and methodologies, new artistic and aesthetic phenomena and/or new sources of aesthetic reflection make aesthetics an interdisciplinary or transdisciplinary sphere, wherein disciplinary convergences are privileged; reshaping the domain into a field being subjected to permanent transacting.